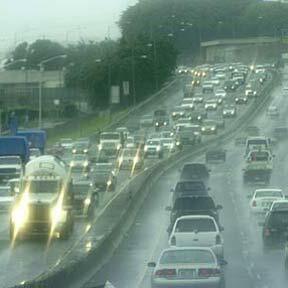 Yesterday's rain made for hazardous driving conditions and heavier traffic. This was the scene on the H-1 freeway heading Ewa near the Likelike Highway exit. Forecasters say clouds and rain are likely to continue through the Christmas weekend.